The benefits of Automatic Pallet Changers are easily quantifiable in terms of productivity and increased revenue. Eliminating downtime means increased output-and an edge over the competition. 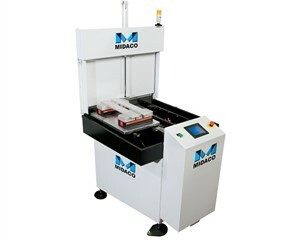 MIDACO has been the global leader in time-saving manufacturing solutions since 1969. Our Automatic Pallet Changers exceed international standards with optional CE guarding and are UL listed. 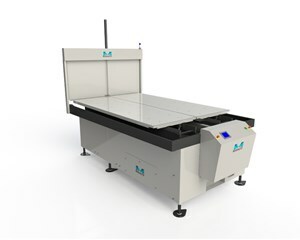 Manufacturing facilities around the world have become more efficient through the use of our pallet changers, automatic door systems and other manufacturing time-efficiency solutions. 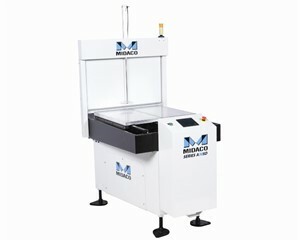 Our Automatic Pallet Changer is the perfect partner to your Vertical Machining Center. Our pallet changers can be integrated with new equipment or with your existing machinery. Mounted on either the right or left side of the VMC, MIDACO's pallet changers work with your VMC to greatly reduce spindle downtime. While pallet "A" is in the VMC, being machined, pallet "B" is outside with the operator removing finished parts and loading the pallet with new parts for the next operation. Once the parts inside the VMC are complete, the pallets switch out automatically and the process repeats, virtually eliminating spindle downtime.